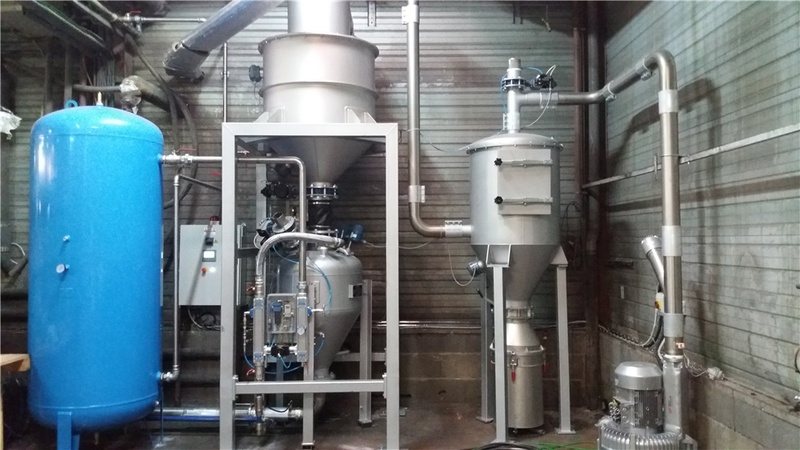 C-dense is CST’s dense phase conveying system especially suited to transport abrasive, fragile and sticky materials. pipe wear. The material can be transported up to 500 meters and reach flow rates of up to 100 t/h. Another advantage is the significant energy savings made, thanks to the use of low volumes of air. blockages. Boosters are driven by a dedicated line, taking air from a pneumatic cabinet. > Parts in contact with the product are made in carbon steel or stainless steel AISI304 or AISI316L.